For 100 years, Samford University has prepared students to be leaders in nutrition and dietetics. Few topics relative to the health care industry generate more discussion, more argument or more passionate interest than nutrition and food. No other topic in health care so profoundly affects the health of the entire human population. The topics and issues relative to food and health vary greatly from country to country and even community to community. Our department has a long history of preparing students become experts on food and nutrition. Since the food we eat impacts our health significantly, small changes in our diet can contribute to the prevention of several health issues such as obesity, diabetes and other chronic conditions. 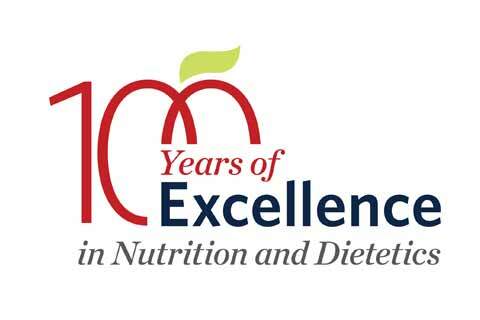 This year, the department is celebrating 100 years of nutrition education at Samford. In 1918, Samford University, then known as Howard College, introduced its first nutrition course within its department of chemistry to address the public's health needs during World War I. As a Nutrition and Dietetics major, a Foods and Nutrition major, or as a Nutrition graduate student, you will learn from faculty who are leaders in their field and who are passionate about your success. Our programs will prepare you for positions in health care, education, research, industry, government agencies, non-profits and other health-related organizations. Whether you are looking for more effective ways to feed starving people in famine-ridden countries or battling the twin epidemics of obesity and diabetes in developed nations, there are an infinite number of opportunities for you, called to nutrition and dietetics, to make a difference in the lives of individuals and entire populations. Foods and nutrition majors combine the basic knowledge of culinary skills and personal nutrition and apply this knowledge to a variety of other areas. Samford's nutrition and dietetic program has been preparing students to become competent, entry-level dietitians/nutritionists (RDN) for 100 years. Our minor in Nutrition is a strong addition not only for students interested in the health sciences but also for students in other majors who are interested in nutrition, food studies, and health. The minor in Nutrition provides undergraduates with a foundational knowledge in the study of nutrition, with a focus on food, and community health, through the lifespan. Samford's online Master of Science in nutrition provides advanced training in nutrition and prepares students and dietitians for positions in health care, community, education, research and leadership in nutrition programs. Samford's dietetic internship is a post-baccalaureate program which fulfills the requirements to become eligible to take the national Registration Examination for Dietitians offered by the Commission of Dietetic Registration (CDR).